My life is crazy these days. Caring for a spouse with cancer means every second, minute and hour is precious. Simply put, I don’t have time for nonsense or things that don’t bring me joy. I’m more picky about who and what I spend my time with, clearly focusing on value. People ask me all the time “how do you do it all”, taking care of my husband, mothering a teenage boy and another son with special needs. 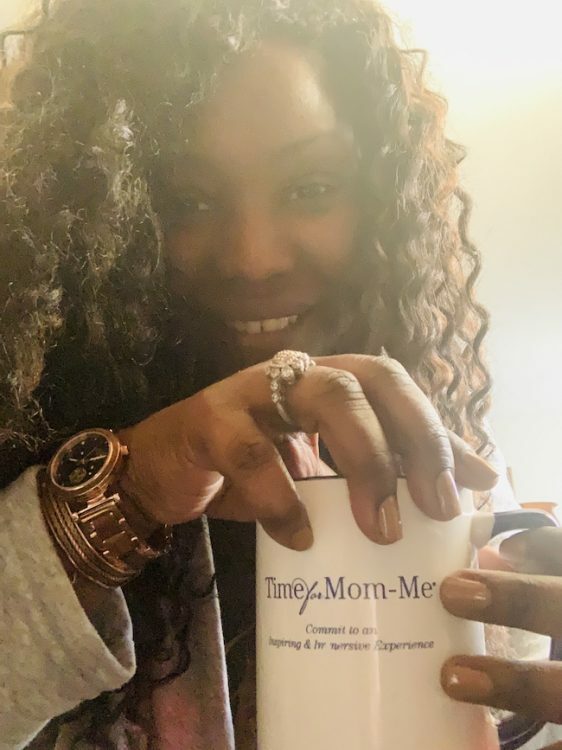 Most of my days are spent managing to-do lists filled with doctors appointments, therapy, calls, school meetings, research, strategizing, self-care and all the other random unexpected things that life throws my way. Alarms, audible notifications, and my personal home assistant govern my activities. Now, I have a new best friend, the Jord Cora Polaris watch. 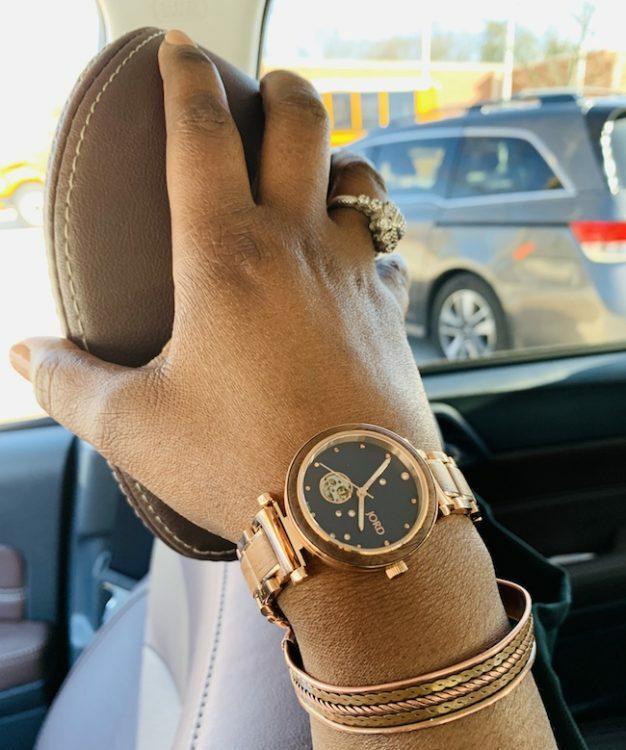 Jord (pronounced Yode) watches are beautiful wood masterpieces that help any time-strapped caregiving mom keep track of her life. With luxury and style. Jord is Swedish for “from earth, land, or soil.” They are best known for their wood designs, expanding their offerings to include other elements from nature. Jord incorporates metal and other harder materials to fortify the watches while keeping a natural wood appearance. The company has a stellar mission. They’re committed to being environmentally responsible, building a brand whose business model does not rely on global deforestation. Some of the woods in their watches are sourced from trees that have fallen naturally. Other, more exotic woods come from furniture remnants. Honestly, I never thought I’d be into a wood watch but the Jord wood watches are quality timepieces with gorgeous craftsmanship. 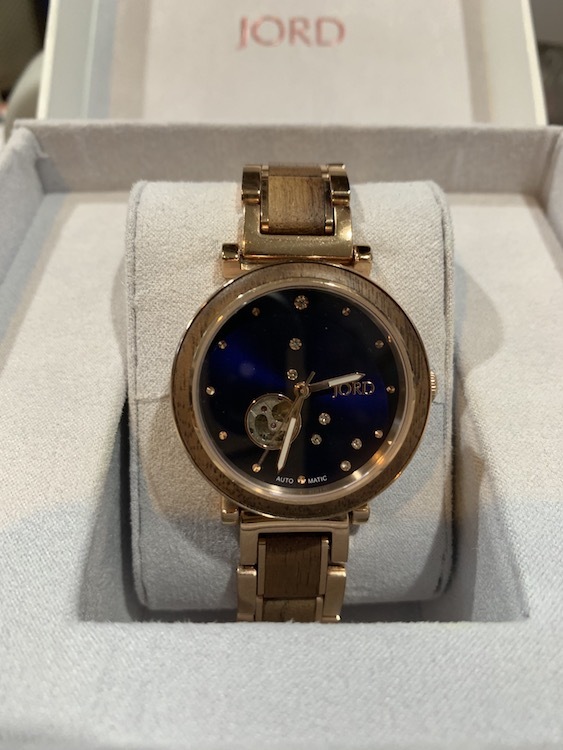 My watch, in particular, the Jord Cora Polaris in walnut and midnight blue, is sophisticated with its mixed-material design of polished metal, subtle wood accents, and Swarovski crystals. Jord watches are made using the same materials and in the same place as Rolex watches. Go figure, right?! The difference in price is specifically related to brand identity. “Elegant”, “classy”, and “charm-worthy” are the perfect adjectives for this watch. More importantly, it makes me feel good wearing it. With all the challenges on my plate, it’s the little things (like a standout accessory) that count. 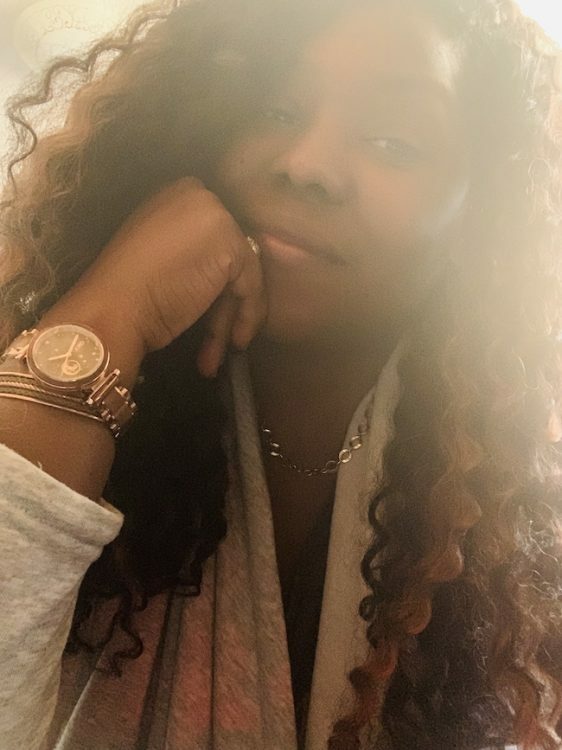 I’ve had the watch for less than a week and I’ve been thinking about all the places we’ll travel for self-care. And the fact that the watch is splash-proof is a bonus so I don’t have to worry about water damage. No, you can’t submerge it in water BUT you won’t damage your piece if say, you’re caught in the lovely rainy weather of London if you happen to be traveling there in the Fall. There are so many ways that I can style this watch. I love that I can dress it down, dress it up, relax with it on a meditation mat, or sport it on the go. I don’t want to go on and on about my watch and not offer you a chance to get a watch for yourself. You know that’s not how I do! 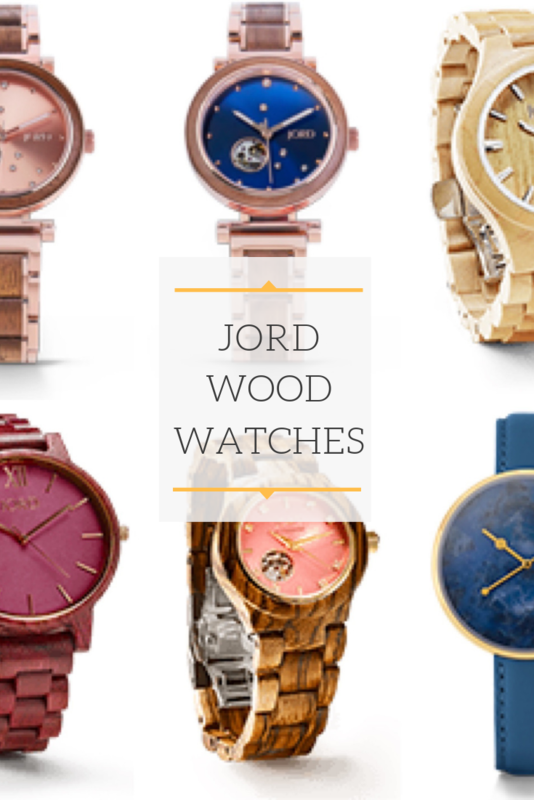 So here’s your opportunity to win $100 off of your own Jord wood watch. If the Cora Polaris isn’t your speed, no worries. There are over 30 different timepieces to choose from. Pick one that fits your individual style. Head to my personalized link to enter the contest. The contest will run until April 20, 2019. 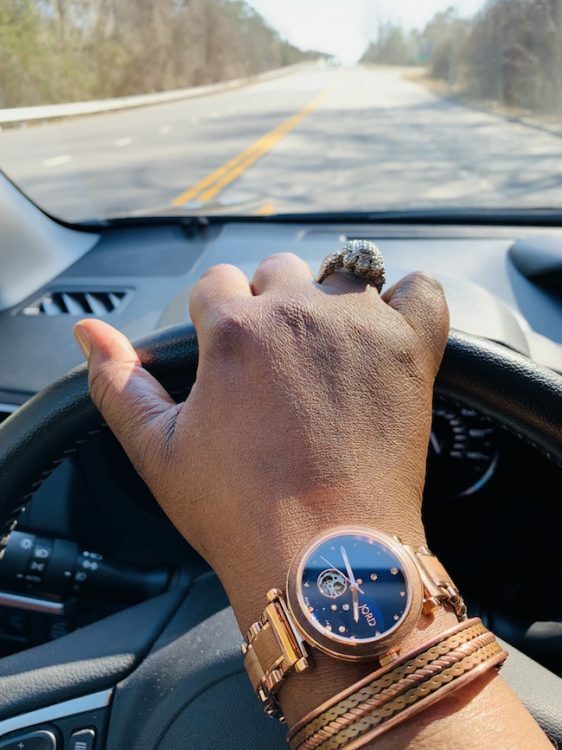 The winner will receive a $100 gift code toward the purchase of any timepiece in the Jord watch collection. If you don’t win the $100 code, don’t worry. You will still get consolation 10% off gift code. (psst! Follow them on Instagram to qualify for an additional entry). If you win, why not go ahead and get your watch engraved? Personalized engraving is available on watches as well as cedar humidor boxes. 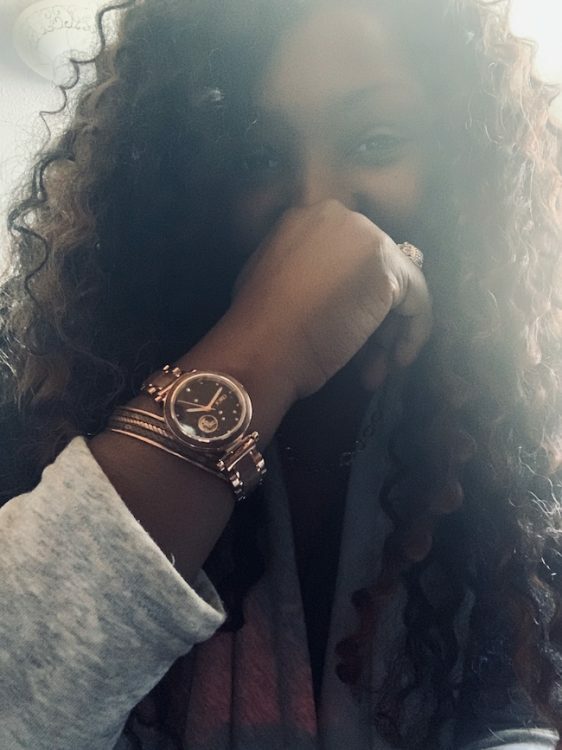 Leave me a comment below to let me know what you think of the watch. Do you like wood watches? I’d love to know! And FYI (my disclaimer): Jord Watches sent me one of their timepieces to review for this post. Make sure you enter the contest through the link!! Make sure you enter the contest through the link PB! I concur with your strength and battle. My wife is a 2 time survivor. Keep the fight.